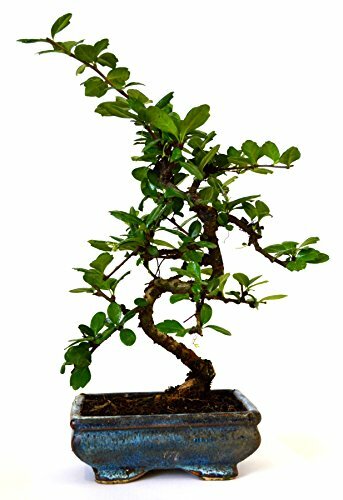 The Fukien Tea Bonsai, or Carmona retusa, is a genus of flowering plants in the borage family. They stand with a thick and sturdy trunk, and blossom small white flowers almost all year around. They bud tiny green, red, or black fruits. They blossom many times during the year and serve as beautiful indoor plants. BONSAI TREE - Bonsai is popularized by Japanese people as an art of growing ornamental, dwarf trees. Bonsai Plants is assumed to have the same life cycle of the normal size trees. Growing and taking care of Bonsai's is one way to relieve stress and will develop as a good hobby. Can be a décor to your home or office. In feng shui, bonsai trees is believe to bring a good luck. KEEPING BONSAI TREE IN SHAPE - trimming a bonsai tree comes in two ways. First is maintenance-pruning, which means you need to maintain and refine the existing shape of a Bonsai. Second is structural-pruning, which requires more rigorous pruning or trimming to give a tree its basic shape or style.